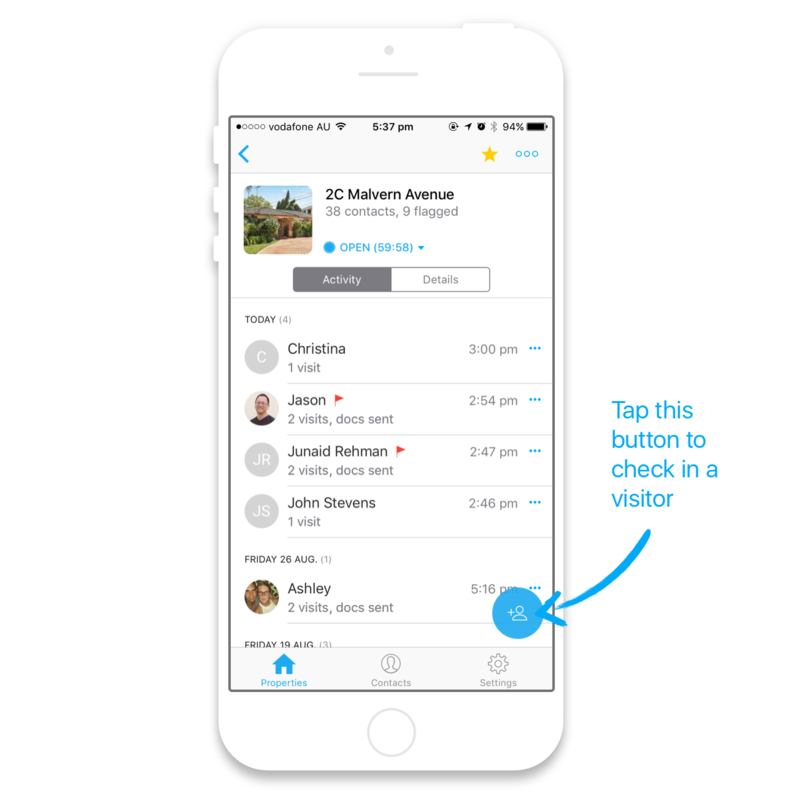 To check in a visitor, simply tap the blue Check In button in the bottom right hand corner of your your screen. This will open a new screen, where you can enter your visitor's name and number. If we find a matching exisiting contact, it will appear here. 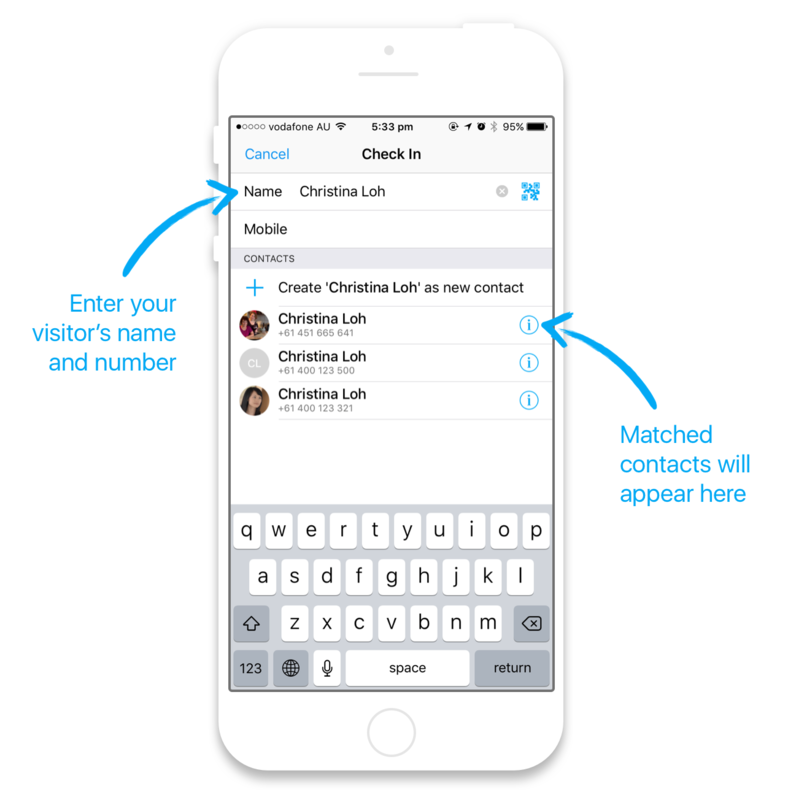 You can either select one of these matched contacts, or choose to create a new contact. 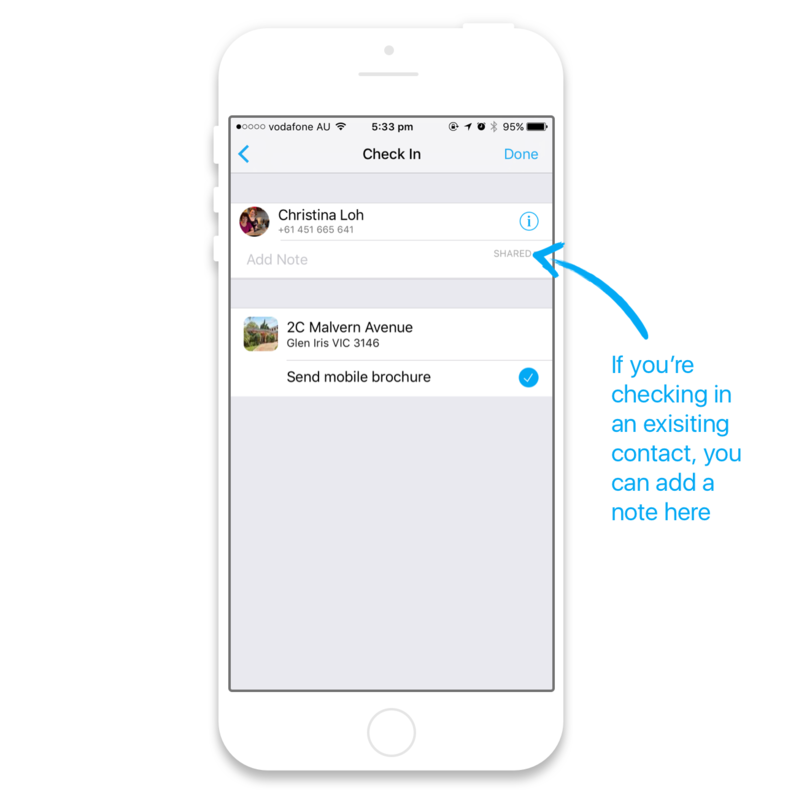 If you select a matched contact, you can add a note before you check them in. 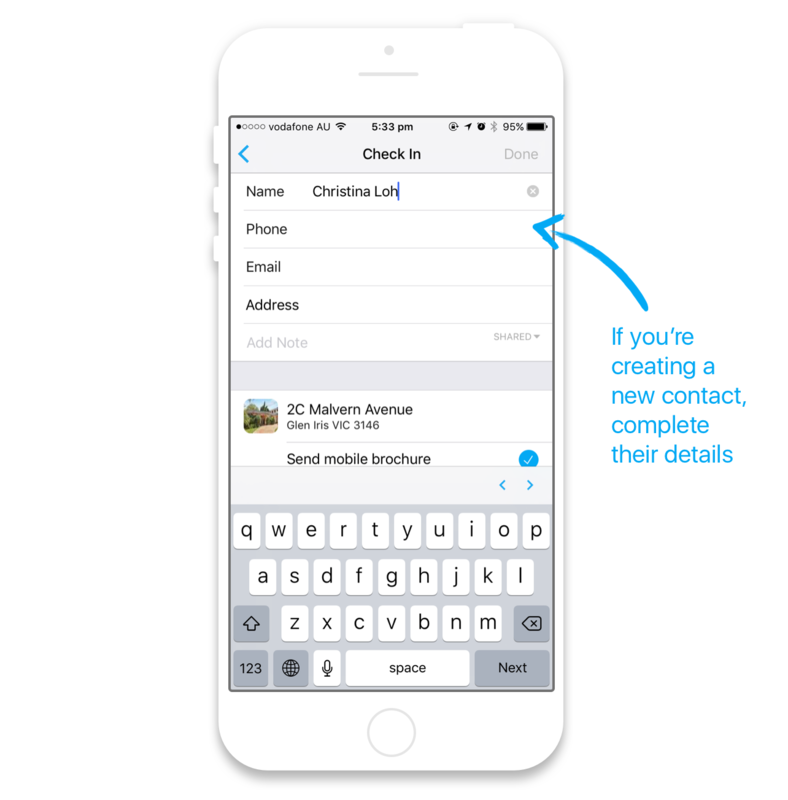 If you choose to create a new contact, you'll get the chance to add more details (and add a note) before you check them in. When you're ready, tap Done. Your visitor is now checked in! Agents who have starred the property will receive a notification. If you've enabled mobile brochures, your visitor will also instantly receive a welcome SMS and a link to your mobile brochure.